Hi! 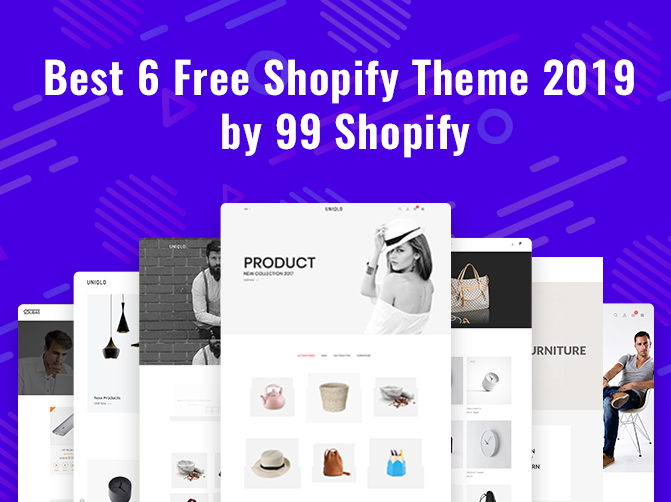 We’re going to introduce you to the 6 best free Shopify themes of 2019. There are some clinical features and characteristics you’ll need to take into account. When picking the website builder, you need, but don’t be concerned, we are here for you. Let’s visit our free Shopify theme! 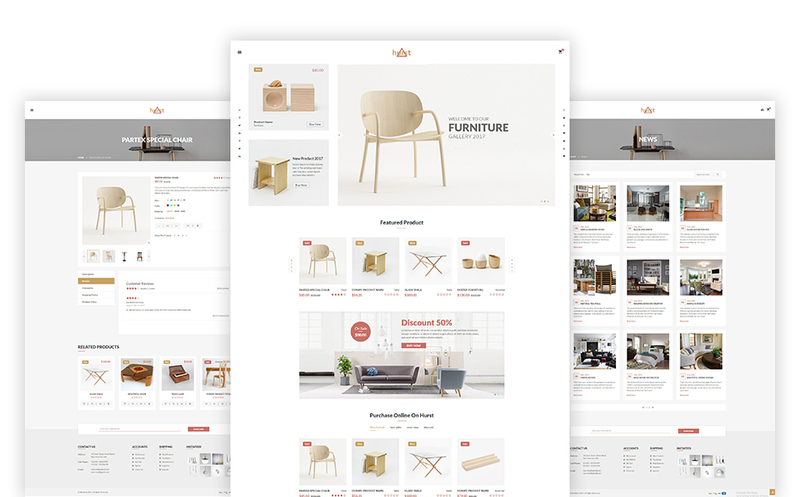 Furnish – Free Minimal Furniture Shopify Theme is perfectly designed for a furniture eCommerce website selling fashion, non-perishable goods, furniture, interior, digital technology and electronics shops. You will get numerous options or features to sort or manage your products and maintain your online store. On top of that, this free Shopify theme comes with smooth features and functionalities. It has single Home Page along with other pages, Drag &amp; Drop, Dropdown Menu, Banner, Ajax Cart, Valid HTML5 &amp; CSS3, Well Commented HTML &amp; CSS files, Contact Map and more. Be ready with your online store, using this cross-browser compatible, Furnish – Free Minimal Furniture Shopify theme. Uniqlo Lite – Free Shopify Theme is an outstanding and responsive eCommerce Shopify theme. This minimalist Shopify theme is perfect for selling clothing, high fashion, men & women fashion, jewelry & accessories, tools & devices, and most prominently furniture and home decor. Moreover, this user-friendly theme has a bounce of amazing features which is unique and fresh. It has Single Home Page along with several inner pages, Valid HTML5 & CSS3, Unlimited Color Variation, Faster drag and drop, Neat, clean and simple design, Google Fonts etc. So, quickly install the Uniqlo Lite – Free Shopify Theme now! 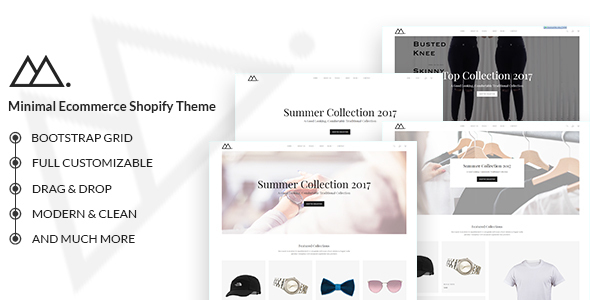 Sa – Free Minimalist eCommerce Shopify Theme is an excellent Shopify theme with an elegant as well as smooth design. The Sa– Minimalist eCommerce Shopify Theme is outstanding for any store. This free Shopify theme is accurate for selling fashion clothing, electronic devices, sports tools, accessories and most importantly furniture & home decor. Most importantly, this eCommerce Shopify theme offers a group of stunning features. There is 3+ Home Version, 2+Product Style, 3+Footer Version, Newsletter, Newsletter Popup, Ajax cart, testimonial, pagination, contact map and plenty more. So, Sa – Free Minimalist eCommerce Shopify Theme is a pixel perfect package for your online store. Hurst – Free Furniture Shopify Theme is a free eCommerce Shopify theme which is fully responsive. It has neat, clean and unique design which can help you to display your product as your own style. This minimalist theme is absolute for furniture store, sofa-chair-table, interior and exterior design business. Moreover, Hurst is packed with cool features. You will get numerous options as you feel. It offers single Home Page as well as several inner pages, Notification Bar, Drop-Down Menu, Slider, Ajax Cart Popup, Wish list, Quick view, Valid HTML5, CSS3, Contact map and more. Finally, this cross browser optimized and well documented theme may be the perfect choice for you. 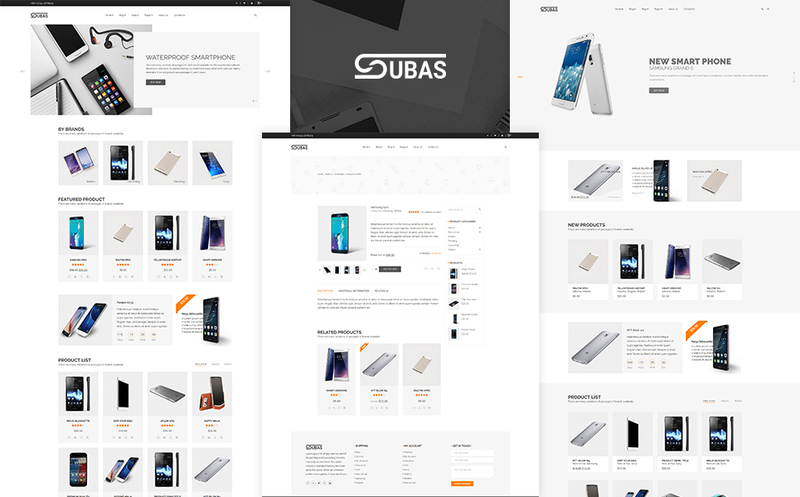 Subas – Free Electronics Shopify Theme is a modern and eye – catchy ecommerce Shopify theme. This theme looks fantastic for its simple, creative and modern design. Using this Shopify theme, you can sell electronics, gadgets, digital products, accessories, baby products, fashion products, cosmetics, photography accessories, gifts etc. Moreover, Subas – Electronics Shopify Theme offers exclusive features like 6+ Home version, 15+ Preloader, 3+ Header Style, 5+ Unique Slider, 3+ Footer Style, Valid HTML5, CSS3, Notification Bar, Mega Menu, Images into Mega Menu, Instafeed, Twitterfeed, Facebook Comment, Custom Tab, Related Product, Contact Map etc. So, enjoy this Subas – Free Electronics Shopify Theme without any hassle. Mira – Free Minimalist eCommerce Shopify Theme is a responsive eCommerce Shopify theme. This theme is perfect for minimal design as well as smooth animation. It offers an ecommerce online store for selling men fashion, women fashion, watches, shoes, sunglasses and accessories. In addition, Mira has single Home Page along with several inner pages, Drag & Drop, Mega menu Options, Banner, Currency Switcher Options, Ajax Cart Options, Valid HTML5 & CSS3, Preloader Options, Contact map and plenty more. Set up this cross browser optimized Mira – Free Minimalist eCommerce Shopify Theme as quick as possible on your store. Fortunately, there are plenty of themes you can use to customize your Shopify site. What’s more, many of the top options are free, so you don’t even need a generous budget. We start the journey of providing the best free shopify themes that are available for instant download.